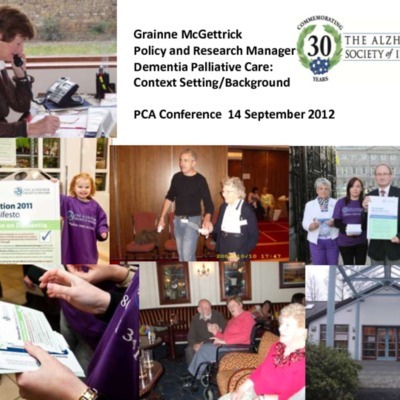 Pictures of the winner's of the 2009 People of the Year awards 2009 including the Irish Hospice Foundation. 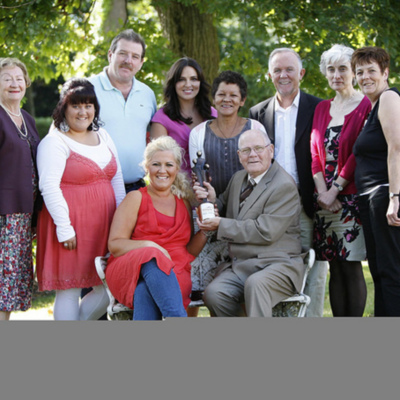 The awards were organised by Rehab and sponsored by Quinn-healthcare and took place in the CityWest Hotel, Dublin September 12 2009. 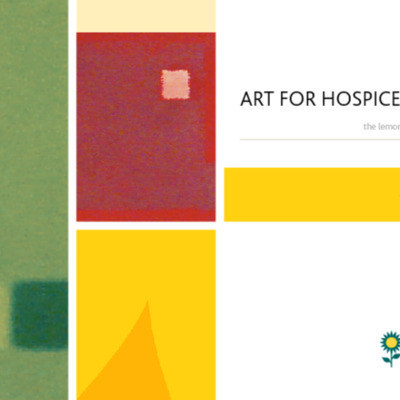 ‘Art for Hospice’ in 2008 saw a range of Irish artists make unique etchings and woodblocks with the master print maker James O’ Nolan. 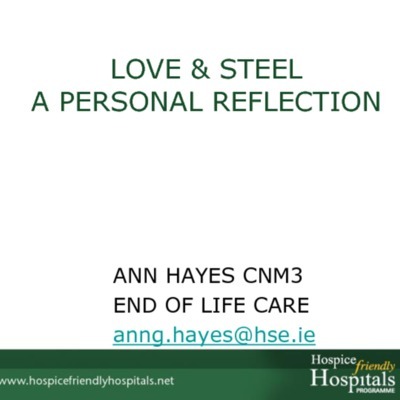 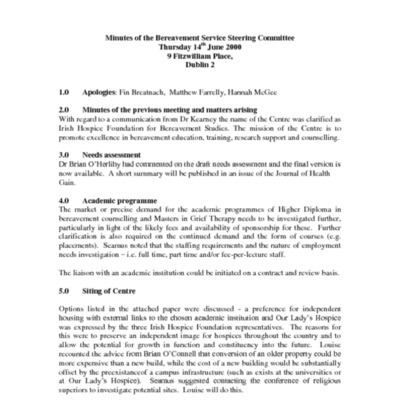 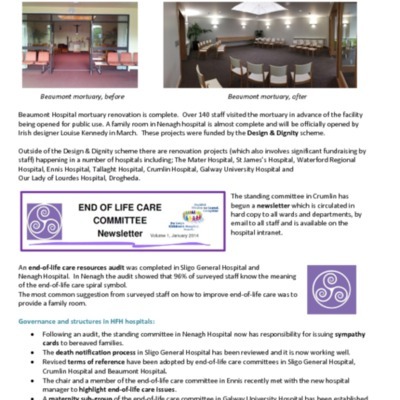 Perspectives of those who have been bereaved on the need for bereavement services in the HSE Dublin Mid-Leinster area. 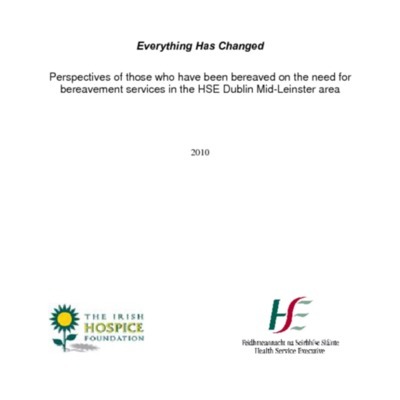 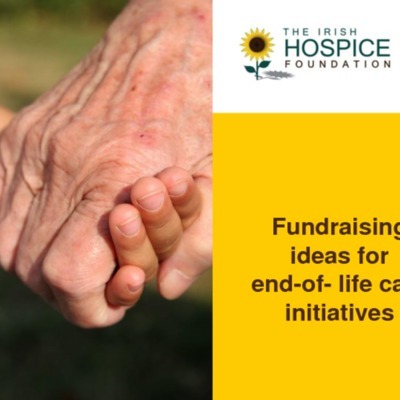 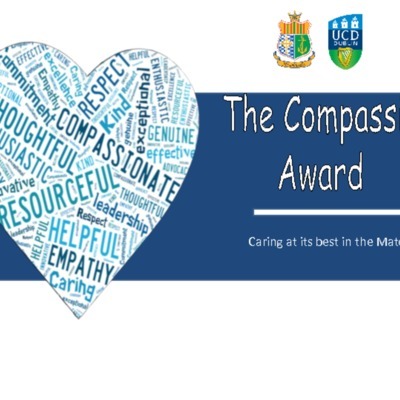 Report undertaken as part of the Bereavement Care Liaison Project, intended to provide insight into the perspectives of those who have been bereaved on the need for bereavement services in the HSE Dublin Mid-Leinster area.